Will Joint Child Custody Soon Become the Norm? Will Shared Child Custody Soon Become the Norm? The days when mothers were almost guaranteed full custody of their children could soon be a thing of the past. While child custody cases in which the mother gains sole custody of the children continue to account for a majority of the cases, there is now a paradigm shift towards arrangements that involve joint or shared custody. This is where a Leadville child custody attorney can help. According to the results of a new study, mothers are no longer guaranteed sole legal custody of their children, and the trends are pointing to joint custody or shared custody. In more and more child custody arrangements, courts are now deciding to avoid shared custody arrangements in which both of the parents share custody of the children. The custody here could include physical and/ or legal custody, and both parents may decide to jointly take decisions regarding the education, religion and financial needs of the child. Custody decisions awarded in favor of mothers have been the norm for many decades now. This has traditionally been due to the view that mothers are better caretakers of children, and these arrangements were found to be especially beneficial if there were young children involved. However, in more and more cases, joint custody seems to be the preferred choice not only of the courts, but also of the parents involved. The analysis of divorce court records until 2008 clearly found a drop in the mother-sole custody cases, to 42% in 2008 from 80% in 1986. Equal shared custody arrangements, in which both children spent equal number of nights with each parent, rose from 5% to 27%, while unequal share custody rose from 3% to 18 % during the same time. Joint custody arrangements are nothing new, and many parents who prioritize their children have preferred such arrangements for years. 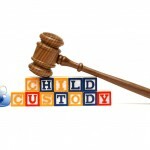 Joint custody is very often seen as being beneficial for the children. However, these arrangements can disrupt a child’s life, because the child divides his time equally between both parents. Moreover, these arrangements work best when the parents are on good terms with each other, and when they’re living in close proximity to each other. The logistics involved in sharing physical custody of the child are very important. 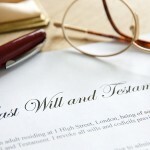 Joint custody is also a poor alternative after a contentious or volatile divorce.